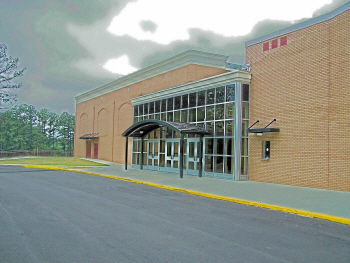 Towers High School is a suburban residential community located in Decatur Ga. enrolling approximately 900 students in grades nine through twelve. Our cluster schools include Bethune Middle School (grades 6-8), and 3 Elementary schools (Rowland Elementary, Camby Lane Elementary, and Peachtree Elementary (grades K-5). We value upfront parents, students ready to learn and teachers ready to teach. Seventeen percent of students at the high school, twenty-four percent at the middle school, and thirty percent at the elementary school qualify for free/reduced lunch. This is a significant increase over the past few years. Towers High School’s mantra Taking Opportunities with Expectations Resulting in Success(TOWERS). Our vision is to establish and sustain a high performing culture that inspires our community of learners to achieve educational excellence. Towers High School has earned 58.8 of 100 possible points on the College Career Performance Index (CCRPI) by the Georgia Department of Education (GADOE). Our graduation rate was 71.2%, DeKalb County School District Graduation Rate is 76.1%, while the State of Georgia Graduation Rate was 82.6% Our attendance rate was 86.3%. Georgia Department of Education (GADOE) completely redesigned CCRPI last year, making it more streamlined. That redesign included changes to the CCRPI components and indicators, and the weighting of those components. As a result, we cannot compare this year’s score — apples to apples — against previous scores. This year’s CCRPI scores provide a new baseline for us given the revisions GADOE made to the rating system over the past year. We must continue to look holistically at multiple measures that show us how we are preparing our students to succeed and not look to any one indicator or any one number. There are five indicators and they are each worth100 points, but with different percentage weights. They are listed below followed by a short description, including our school, district, and state scores. Content Masteryaddresses whether students are achieving at the level necessary to be prepared for the next grade, college, or career. This component includes achievement scores in English language arts, mathematics, science, and social studies. Progress measures how much growth students demonstrate in English language arts and mathematics and how well English learners are progressing towards English language proficiency. The English language arts and mathematics indicators utilize Student Growth Percentiles (SGPs) to measure how much growth students demonstrated relative to academically-similar students. English Language Proficiency measures whether students are improving within a performance band or moving up to another performance band, thus moving towards English language proficiency. Closing Gapssets the expectation that all students and all student subgroups make improvements in achievement rates. This component is based on CCRPI improvement targets for academic achievement, which are represented by improvement flags, and it provides an opportunity for schools to demonstrate the progress made in improving student performance among all student subgroups. Readinessmeasures whether students are participating in activities preparing them for and demonstrating readiness for the next level, college, or career. The indicators for elementary and middle schools include literacy, student attendance, and beyond the core. High school indicators include literacy, student attendance, accelerated enrollment, pathway completion, and college and career readiness. Graduation Ratemeasures whether students are graduating from high school with a regular diploma in four or five years. This component includes both the four- and five-year adjusted cohort graduation rates and is only applicable to high schools. Our 2018 scores are listed below along with our goal 2019 goals which includes a 3-point increase overall and a 3% increase in each indicator. We are already developing plans – grade level by grade level and in all subject areas – to address any weaknesses. We have identified our strongest and weakest areas in the chart below. To find out more about our strategies and how you can assist in any of these areas, please check our webpage, pick up a brochure from any staff member, set up an appointment with your child’s counselor/teacher, or join us for any Parent Family Engagement activity. Athletically, the school has won several State Championships: Wresting in 1975, Cross County in 1982, Baseball in 1989, Swimming in 1996, and Girls Track State Runner up in 2009. Other sports offered at Towers have been: basketball, track and field, football, softball, golf, girl’s gymnastics, soccer, tennis, Band, Drill Team, Dance, Volleyball, Soccer, and cheerleading. Many of our recent graduates have earned athletic scholarships in baseball, track and field, women’s golf, and basketball. One of our recent graduates is now a professional women’s golfer. To maroon and white evermore. Towers High moves on to score. And give our best a try. With a hail to Towers High. Onward, you must never give in.